When Joseph’s brothers came to Egypt looking for help in the midst of a devastating famine, he could have tossed them out of the country or even something worse. They had once been so jealous of their father’s love for Joseph that they contemplated killing him before eventually selling him into slavery and into what they likely assumed would be a life of misery. None of them could have known that Joseph would rise up to become the second-most powerful man in the country, behind only Pharaoh himself. Imagine what it must have been like for Joseph to see his brothers come before him in obvious need. Rather than exacting some sort of revenge, Joseph forgave his brothers for the terrible things they had done to him. When we’ve been wronged, it sometimes hurts profoundly. We might be tempted to lash out in retaliation against the on who hurt us. As difficult as it is, though, Christians are called to forgive. Joseph’s story is a good illustration of forgiveness, and Jesus is the ultimate example. Can you think of someone, or maybe even a few people, whom you should considering pardoning? Taking that first step might be one of the hardest things we’ve ever done, but it’s an important step that demonstrates love and obedience to God. Why do you think God wants us to forgive those who have wronged us? What keeps us from forgiving others? When we can find it in our hearts to forgive someone, even though society might say we are crazy to do so, we are opening our souls up for a peace greater than we may have ever experienced before. When we refuse to not forgive, the person we punish the most is ourselves. Life is full of way too much stress for us to refuse an opportunity for internal peace. Choose to forgive. 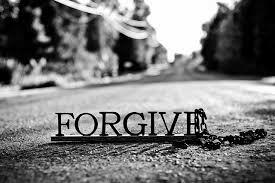 It can make all the difference in your life, and in the life of the person you forgive. This entry was posted in Attitude, Bible, Change, Communication, Decisions, Forgiveness, God, Hope, Inspirational, Jesus, Love, Opportunity, Reinventing Yourself, Relationships, Salvation, Sin, Thoughts/Mindset and tagged advancement, Bible, brethern, brothers, Christians, crazy, designed, difference, Egypt, famine, Father, first steps, forgive, forgiveness, Genesis 50:19-21, God, hurt, jealous, Jesus, John Flavel, Joseph, killing, lash out, life, love, misery, obedience, pardoning, Pharaoh, ruin, slavery, souls, stress. Bookmark the permalink.